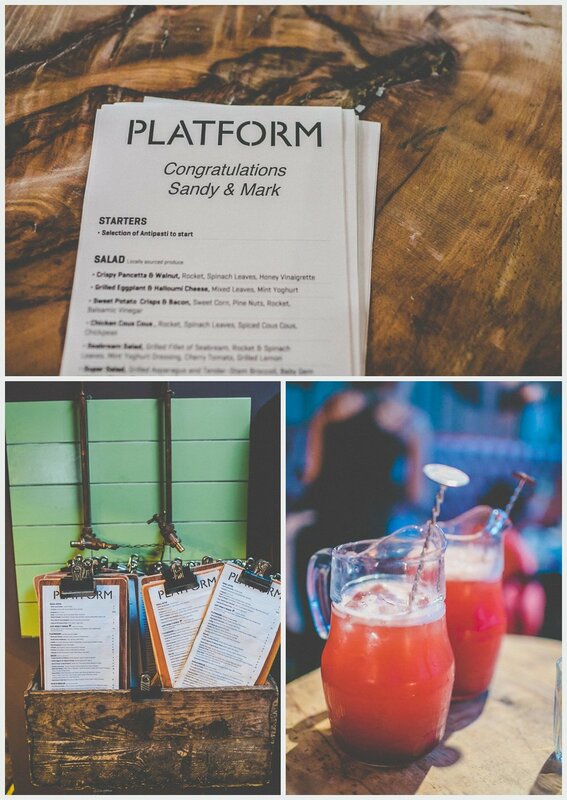 Sandy + Mark show us how to do things just how you want to! 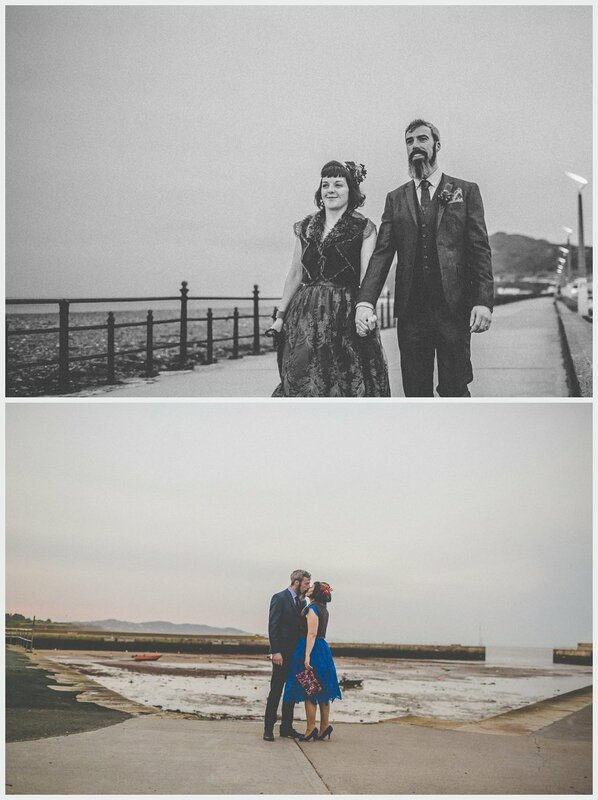 This Rockin’ couple tied the knot in the relaxed and retro Harbour Bar in the seaside town of Bray. 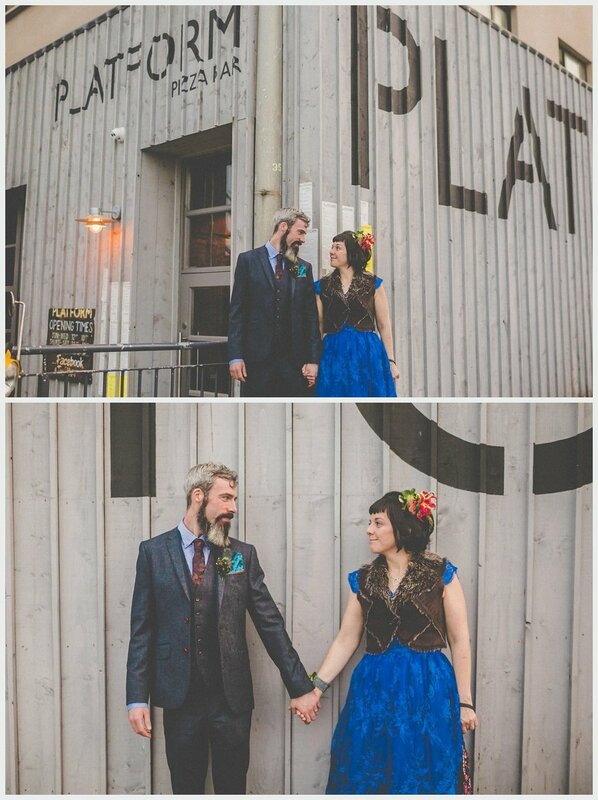 The hip Bride wore blue and she perfectly matched her bearded Groom, who donned a dapper skull and crossbone pocket handkerchief. 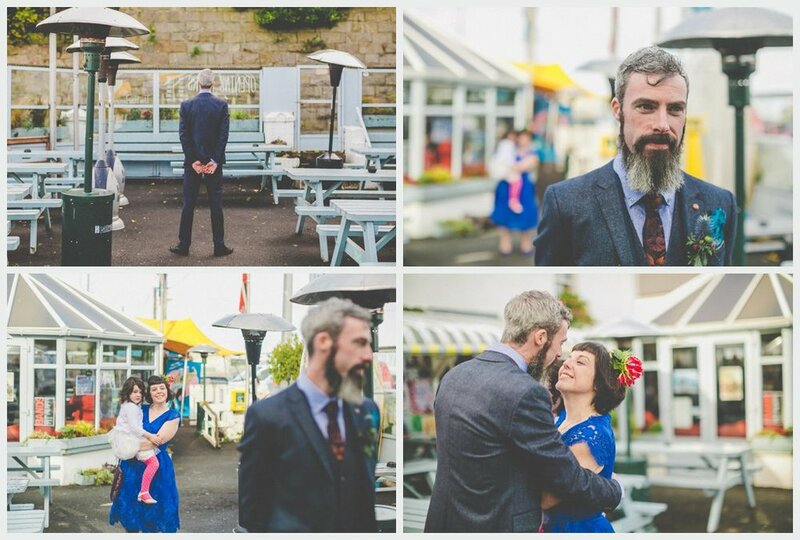 Their intimate, low key, no fuss Ceremony involved their cute playful daughter and afterwards it was a short stroll to Platform Pizza Bar for the Family Wedding feast, then back to the Harbour Bar for an open Mic session (alternative to formal speeches) and dancing. 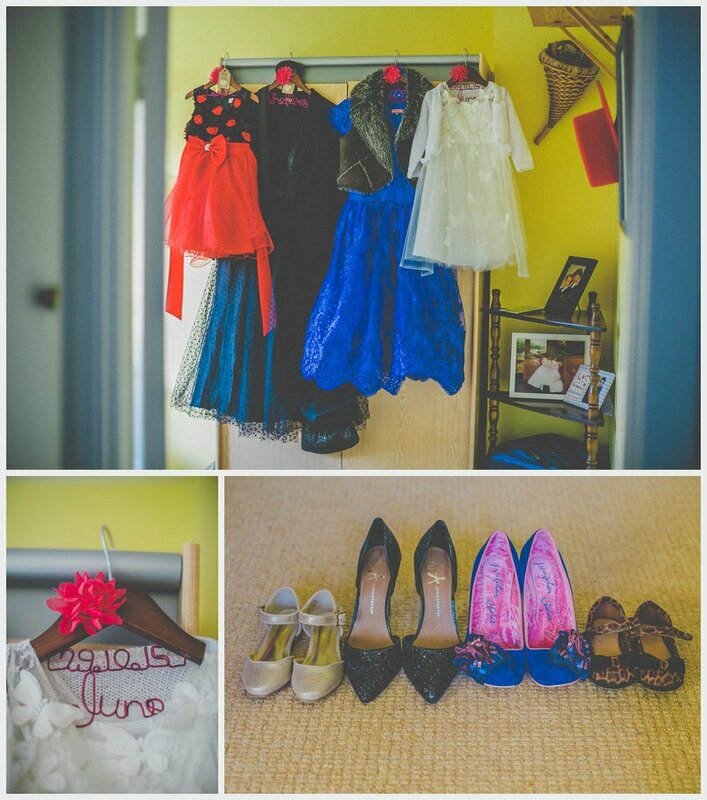 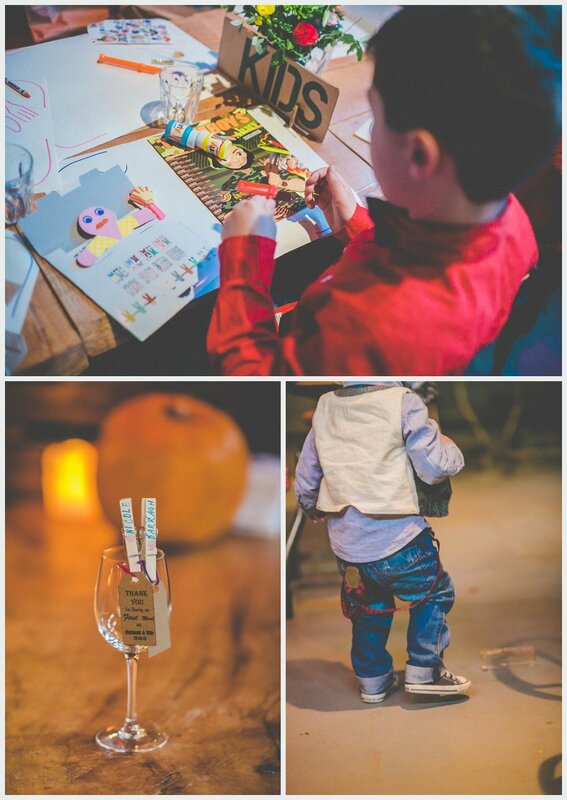 There was so much love in the room and what a reception room, graffiti art, quirky detailing, old school furniture, abstract artwork, it couldn’t have suited the couple any better! 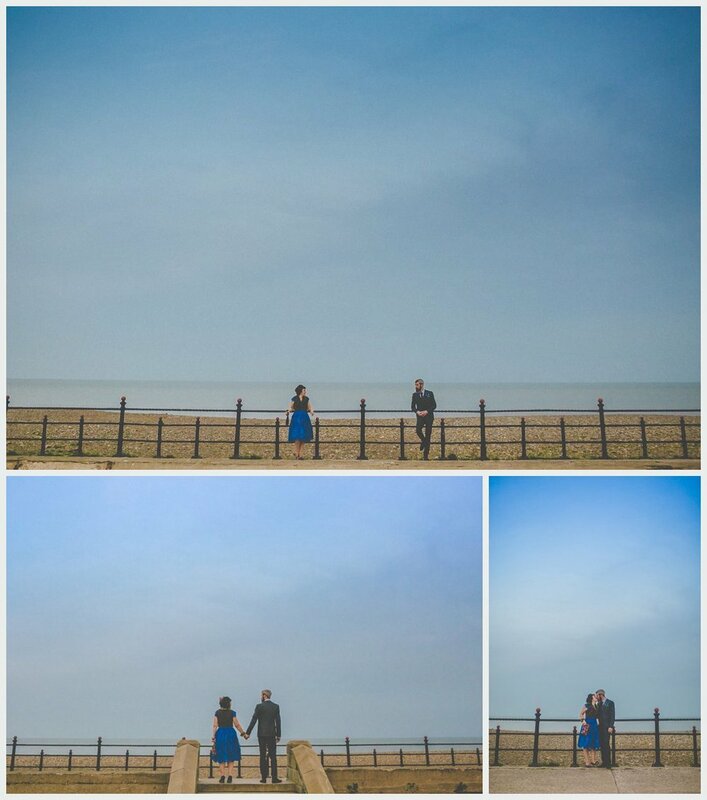 Luckily it was a bright October day and we went walkabouts to capture some natural and intimate couple shots in this lovely Seaside setting. 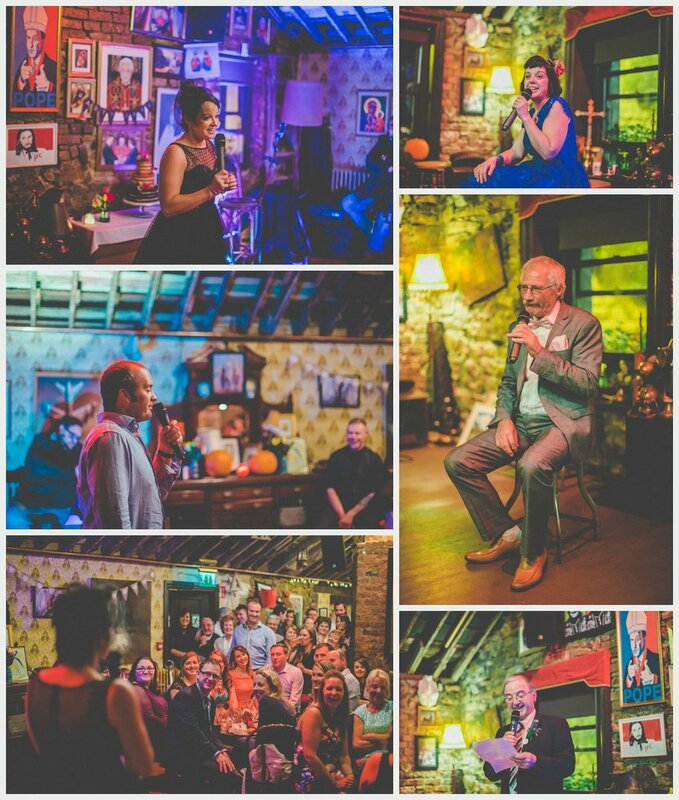 This Wedding truly represents modern Ireland and how anything goes, thanks guys for letting me be part of your celebrations!